A VIP Screening of Sweet Inspirations, a locally produced faith-based film, was hosted at the Fayetteville Town Center on Tuesday evening. The film was produced by Rockhill Studios and Cupcakes Movie and will be available for viewing on Pure Flix, a Christian-focused entertainment platform. The event started at 6 p.m. with a red carpet event where the cast of the film posed for photos alongside their co-stars. The screening was preceded by short speeches from Chamber of Commerce President Steve Clark, Joe Donaldson president of Sam’s Furniture, Producer Kerri Elder, and Director Brittany Yost. 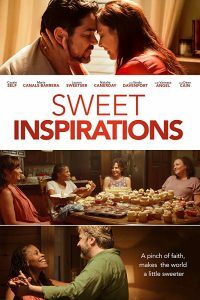 Sweet Inspirations was written by Tommy Blaze and directed by Brittany Yost and told a story of a woman trying to make a difference in her community by selling cupcakes with bible verses on them, and using the money to support a local women’s shelter that was under financial strain. The four main characters, Cassie Self, Maria Canals-Barrera, Lauren Sweetser, and Natalie Canerday banded together to turn an old pizza shop into their bakery, Sweet Inspirations. The movie was filmed in just 14 days of shooting and features shots of Fayetteville’s iconic downtown square and quirky shops. Kerri Elder, the executive producer of Sweet Inspirations, said that she loved working in Fayetteville because of the community. “The single greatest reason why Arkansas is the perfect place to establish itself in a huge industry is the professionals that live and work here. 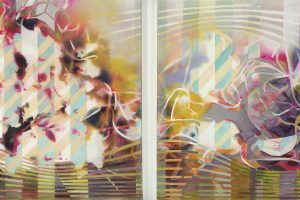 The level of expertise is unbelievable and the creative talent is a high as anywhere that you would find,” Elder said. 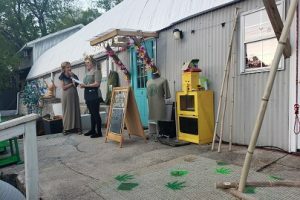 Elder said that although Rockhill Studios opened a facility in Fayetteville just eight months ago, the process has been in the works for a long time. Elder and her son, Blake Elder, have been producing content in the state of Arkansas for the past 10 years. 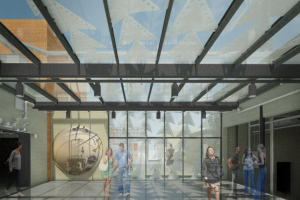 “Rockhill is committed to continuing to develop a sustainability in the industry that supports and grows job opportunities for these incredible professionals,” Elder said. Brittany Yost, the director of the film, echoed Elder’s appreciation for the local community. 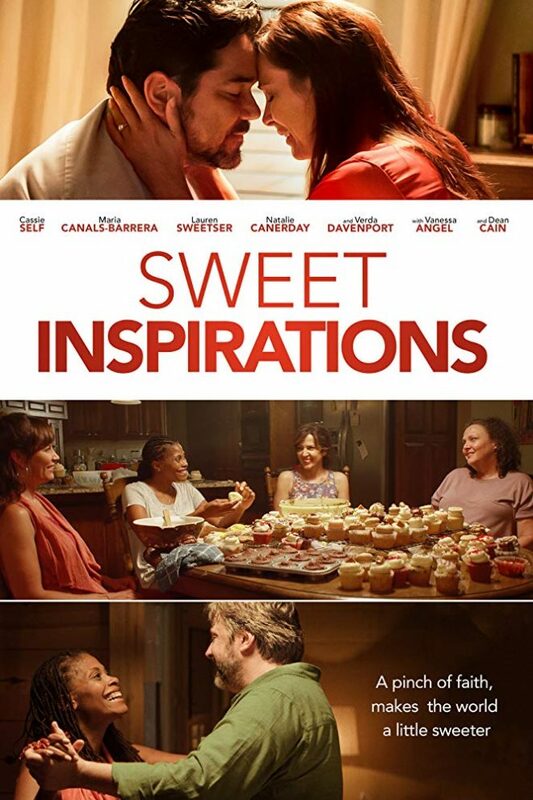 Sweet Inspirations elicited both laughs and tears from its audience. The film employed joyful and silly humor that was balanced by poignant, difficult conflict. The film touched on friendships, romantic relationships, the spiritual relationship with God, and how individuals can improve on and rely on these foundations in the face of hardship. Maria Canals-Barrera played Bonnie’s character in the film and said she was proud to be a part of this movie.